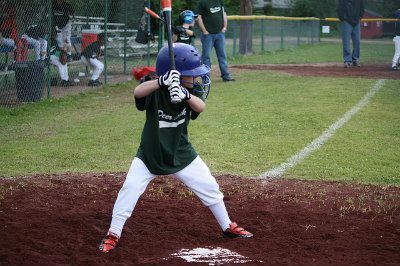 Rehabbing Your Little Leaguer’s Shoulder | Podiatry Associates, P.C. There’s a crack of a bat and away goes the baseball. The pitcher rubs his shoulder and shakes out his arm. The joint aches, but he doesn’t want to give up playing. The more he throws, though, the more tired and uncomfortable his shoulder gets. No athlete wants to give up playing to sit the bench if he or she can help it. The problem is that the more your little leaguer or softball star continues to throw on a sore shoulder, the harder it might be to treat. Baseball shoulder injuries can become chronic problems later in life. That’s why proper rehabilitation and conditioning is so important, no matter what your age. When your child plays throwing sports like baseball or softball, overuse of the shoulder is pretty common. Repetitive strain from making the same stressful throwing motion again and again can take its toll. Eventually your son or daughter can end up with an injury. Like other overuse issues, shoulder pain in children can be both treated and rehabilitated, so your young athlete can get back in the game and make better throws. Rest – Rest is the most important step for healing. Your child won’t like it, but he or she will need time off from throwing to heal. Ice – When the joint aches, ice it. This discourages any inflammation in the shoulder. Stretch – Arm circles and stretches that pull the muscles by the shoulder blades help loosen tight tissues and maintain joint mobility. Strengthen – Shoulder shrugs and other exercises that work shoulder and back muscles help build up strength in the tissues that support your child’s joint stability and function. Don’t let your child take pain for granted. If the shoulder still hurts when he or she throws, treatment is still needed. Baseball shoulder injuries may take a little time to recover, but they are treatable. There’s no need to let them get worse by neglecting them. Contact Castle Pines Physical Therapy in Castle Pines, CO, for more information or an appointment for your child. You can use the web request form, or just call us at (303) 805-5156.